The idea that a pathway of interaction existed between the brain and the immune system has been suggested for many years. 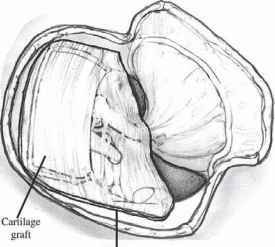 However, only the evidence gathered over the past 25 years has provided important details about the mechanisms. The clues for bidirectional communication early on related to the effects of stress on immune function and that psychological factors could alter the onset and course of autoimmune disease (Ader 1996). A list of selected findings contributing to our understanding is shown in Table 1.1. The classical (Pavlovian) conditioning of host defense mechanisms and antigen-specific immune responses was first suggested and studied in the 1920s (Metal'nikov and Chorine 1926) and later in the 1970s (Ader and Cohen 1975). A number of years ago, stress was shown to increase the susceptibility of mice to virus infection (Rasmussen, Marsh, and Brill 1957) and lesioning studies of the anterior hypothalamus were shown to be associated with diminished immune reactivity (Cross, Markesbery, Brooks, and Roszman 1980; Stein, Schiavi, and Camerino 1976). Reconstitution of antibody production in hormonally deficient mice was observed after treatment of animals with somatotrophic hormone, thyrotropic hormone, and thyroxin (Pierpaoli, Baroni, Fabris, and Sorkin 1969). Studies identifying neural receptors on cells of the immune system, and identifying nerve fibers in compartments of lymphoid organs all supported the idea of a dynamic interaction between the immune and nervous system (Besedovsky, delRey, Sorkin, DaPrada, and Keller 1979; Hadden, Hadden, and Middleton 1970; Hadden, Hadden, Middleton, and Good 1971). Later, it was shown that nerve fibers are localized in precise compartments of both primary and secondary lymphoid organs in close contact with T lymphocytes and macrophages (Felten et al. 1987; Williams, Peterson, Shea, Schmedtje, Bauer, and Felten 1981). In addition, it was shown that the immune system as a consequence of antigenic challenge altered the firing rate of hypothalamic neurons suggesting the bidirectional nature of communication between these two systems (Besedovsky, Sorkin, Keller, and Miller 1977). Supernatant fluids from activated leukocytes could mimic this phenomenon (Besedovsky, delRey, and Sorkin 1981), and it is now clear that a wide range of lymphocyte products influence the synthesis and secretion or release of neuroendocrine hormones and neurotransmitters (Blalock and Smith 1980; Smith and Blalock 1981; Weigent and Blalock 1995). Table 1.1. Major selected discoveries in bidirectional communication. 1984) is essentially true. 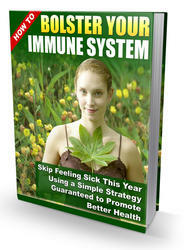 What seems clear is that two pathways link the immune system with the brain. 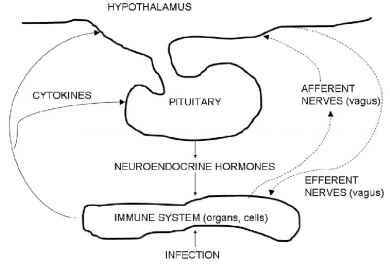 One is the autonomic nervous system activity and the other neuroendocrine outflow from the pituitary. The molecules released are recognized by the immune system via specific cell-surface receptors. In addition, it is clear that activation of the immune system is accompanied by changes in autonomic, hypothalamic, and endocrine processes as well as by changes in behavior (Glaser et al. 1987). Cytokines influence the activation of the hypothalamic-pituitary-adrenal axis and are influenced by glucocorticoids, depending on their concentration (Berkenbosch, Van Oers, Del Rey, Tilders, and Besedovsky 1987). Thus, the exchange of information between the immune system and the brain is bidirectional (Fig. 1.1). The immune system contributes to the brain's function by serving a sensory role while the brain adopts an immune function by participating in and/or coordinating the immune response. Collectively, this interaction adds another level of complexity to understanding the influences of behavior including sleep (Toth and Krueger 1988) on immunity and vice versa. This chapter will review studies that describe the pathways for bidirectional communication between the brain and the immune system (Fig. 1.1). Figure 1.1. Neural and hormonal pathways of bidirectional communication.